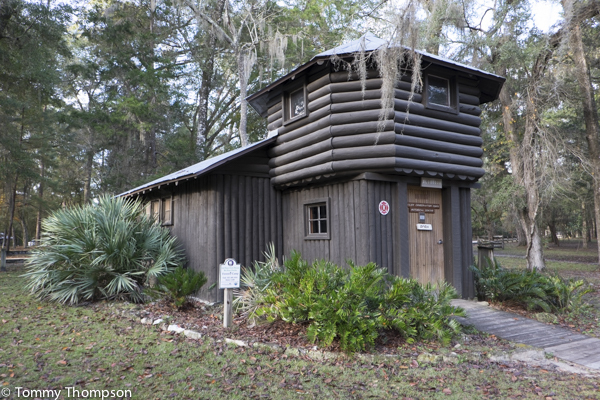 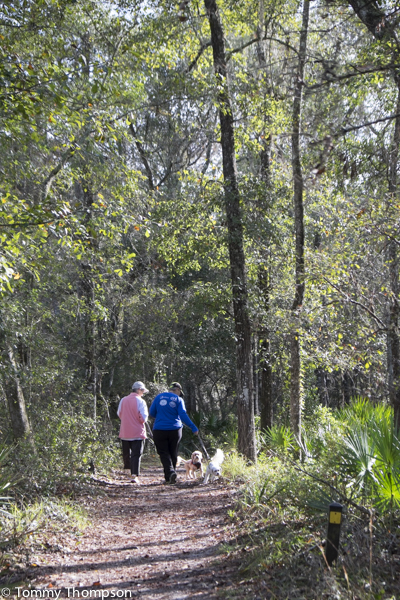 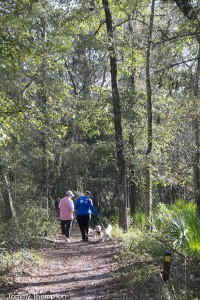 One of Florida’s first state parks, O’Leno State Park was first developed by the Civilian Conservation Corps in the 1930s. 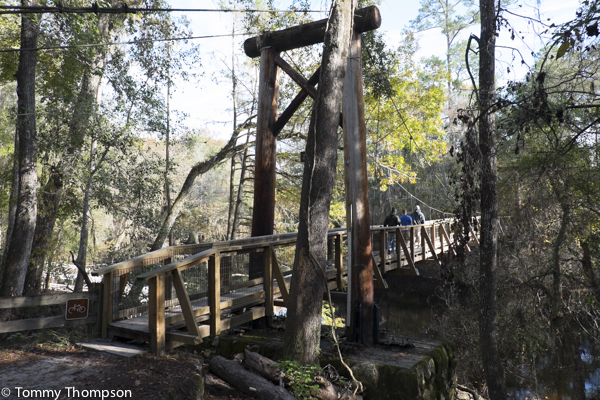 The park is located along the banks of the scenic Santa Fe River, a tributary of the Suwannee River, and features sinkholes, hardwood hammocks, river swamps and sandhills. As the river courses through the park, it disappears underground and reemerges over three miles away in River Rise Preserve State Park. 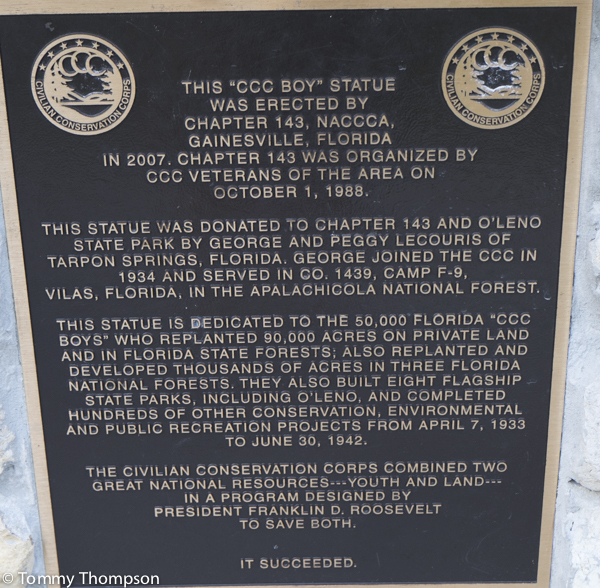 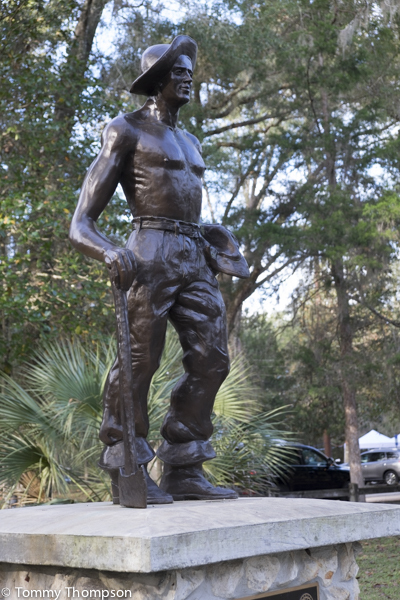 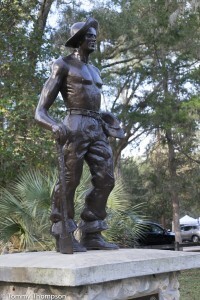 This statue commemorates the service of the Civilian Conservation Corps in the 1930s. 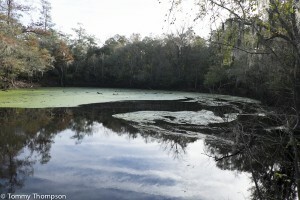 Northbound — O’Leno is located on US 441, 8 miles north of High Springs. Southbound — O’Leno is located 8 miles south of I-75 at Exit 414 (Ellisville) on US 441.